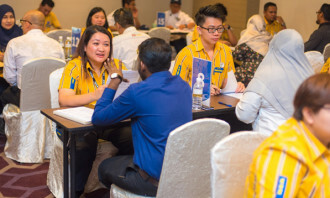 The Ministry of Manpower (MOM) has announced they will be rolling out a new work pass (WP) card with a QR code, as well as the free SGWorkPass mobile application. which the pass holders are working in, starting with work permit holders in the marine shipyard and construction sector from 15 September 2017 and to other work pass holders in the coming months. Based on the phased implementation, existing pass holders will receive their new cards when they renew their pass. Those with new applications will receive the new cards during the issuance of passes. 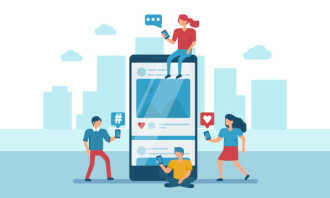 Employers/pass holders/employment agents will be notified of the new process accordingly when they perform issuance/renewal transactions online. In the meantime, the existing cards are still valid and the pass holders can continue to use them. 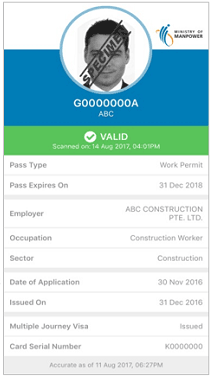 By scanning the QR code printed on the new card with the SGWorkPass mobile app, employers, pass holders, and any other stakeholders will be able to check the most updated status of the work passes as well as to verify variable information such as date of expiry and occupation. 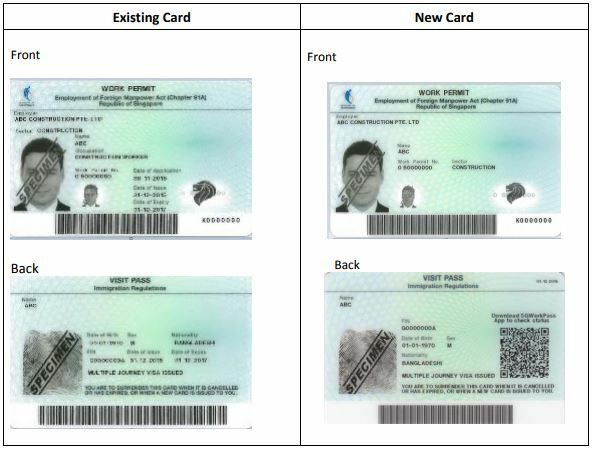 With this change, MOM will discontinue printing variable information such as date of expiry on the work pass card. Currently, many service providers, premise owners or other stakeholders rely on the date of expiry printed on the card as proof of status before entering into a contract with the pass holder or allowing entry into a premise, etc. However, a foreigner’s employment may be cancelled before his work pass expires due to various reasons such as resignation or restructuring. Hence, the date of expiry printed on the work pass card may not reflect the most up to date status. 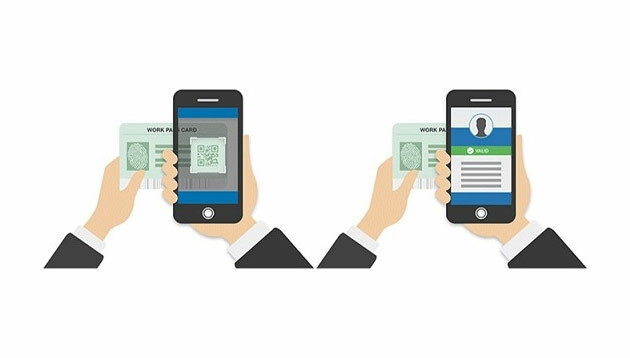 Compared to relying on the date of expiry printed on the card, this new system will serve as a more reliable and convenient way to check the most recent status of work passes. Firms worried about IT threats and attacks will soon be able to check their security via a new starter kit, developed by the IDA. ..